HolidayLEDs.com was founded in 2007 by three friends who were all working for the same local e-commerce retailer. Our mission was to start an e-commerce company that offered great products which were environmentally friendly and backed by outstanding customer service. Our company has grown substantially since we started in 2007 but our core mission is the same. Each year we have continued to expand our product offering and selection of hard to find colors and color combinations. We proudly offer the most largest selection of multi-color Christmas lights, battery Christmas lights, icicle lights, and Christmas Lights on white wire. ...Our company also strives to minimize the impact our activities have on the environment. Although our products are far more energy-efficient than incandescent technology we knew that we needed to offer a solution for our customers and others to responsibly dispose of their old incandescent Christmas lights. That's why we launched our Christmas light recycling program which resulted in the recycling of more than 10,000 pounds of Christmas lights in 2009. I recently had the opportunity to review some gorgeous Warm White LED Lights from HolidayLeds.com. I am really impressed that LED lights use 85-90% less power and last much longer than other lights. When the lights first arrived I was also extremely impressed with the impeccable quality of the lights. With my love of event planning, I know the importance of having the right amount of ambiance for an event which HolidayLeds.com brings. I love how the lights at HolidayLeds.com are perfect for all occasions. 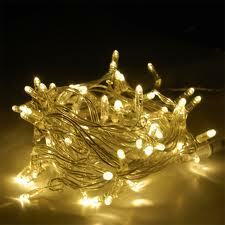 From just having a simple setting in your backyard illuminated in the night or a beautiful sparking wedding, HolidayLeds.com is really perfect for all occasions that can be complimented by the warmth of LED lights. A major incentive for me is that these lights are not going to just sitting around in my garage for the next event, when they are not in use for celebrations they will be used in my sons room as decor, which is a super cool idea to him. 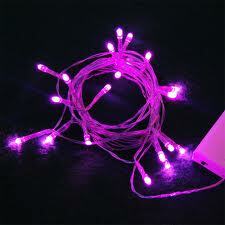 HolidayLeds.com has a huge selection of Christmas Lights and Warm White LED Lights. A major perk is over the years of using LED lights you will save on the cost of purchasing news lights, and you will also save on your electric bill, which is a major plus for living more GREEN. HolidayLeds.com has truly beautiful quality lights, which I would recommend to any of my friends or family. You can also find HolidayLeds.com on Twitter and Facebook. Thanks for creating a sensible topic that suits the taste of your readers. Keep up the good Work.